The value of the dental clinic built by the Dentistry For Every Village Foundation and endorsed to the Rogationist Formation Center at Barangay Merville, Parañaque City has never been more magnified until the recent visit of 15 indigent and underserved children from the Hannibal Multilevel School from the nearby Multinational Village. The kids seen were the first batch from the said village. Through the efforts of Father John Lucas, the Provincial Vicar, for the Rogationist Congregation, many children from poor families are seen on a regular basis. 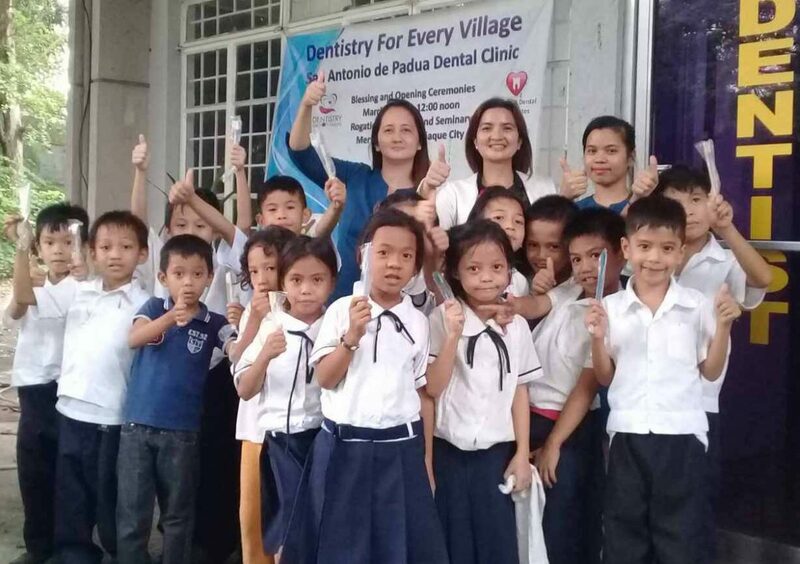 On Thursdays and Sundays, they come in batches of 12 to 15 and they fill up the day of the main volunteer dentist, Dr. Amry Jane Chavez, a practicing dentist from nearby Las Piñas City. A batch seen recently puts an exclamation mark on the true dental needs of many children in the area and the services provided by the clinic. After the kids were all seen, they were provided with toothbrushes and given a tooth-brushing drill by Dr. Chavez. They were all placed on the schedule to be seen again within two months. One huge advantage of having a clinic for these children is the ability of the volunteer dentists to see them on a continuing basis and provide follow-up care. Their families are all registered with the congregation; therefore, recalling them is not an issue at all.